Create useful and engaging recipes, beauty tutorials, fitness routines, and more without any video-editing experience. Reach an engaged community on Jumprope, and share your video to any social platform. The Jumprope app perfectly formats your video to export to Instagram, YouTube, Facebook, Pinterest, Google, and more. Start showing the world how it’s done. - Follow our step-by-step template to quickly create and personalize your how-to. - Create professional-looking content quickly and easily with editing tools like time-lapse, filters, and voiceover. - Personalize the look and feel with animation themes, colors, patterns, and background music. - Feature the products you use in a shoppable format for viewers to browse on and purchase. - Export how-to’s with 7 different export formats tailor-made for YouTube, Facebook, Pinterest, Stories, IGTV, your website, and more. Create your own step-by-step how to’s to share with the Jumprope community and on Instagram, YouTube, Pinterest, Facebook and more. Thank you for joining Jumprope - a place where you can share your talents with the world and discover how it’s done from amazing creators. We regularly release new versions to improve your experience and we love hearing your feedback!! Email us at hello@jumprope.com or DM us at @letsjumprope on IG. I just made my first video and it was so easy!! It has a limited video editor built in including trimming and speed which is basically all I’ll ever need! The video is well organized and easy to follow!! They have LIVE chat with support easily available (which I just used to change my user name) and they were unbelievably friendly! The ONLY downside I see right now is it takes about 15 minutes for the app to create your shareable video and if you edit it after that it takes another 15 minutes to reshare. I can’t wait to make another and share this app with all my friends!! Wasted hours filming a video, then the video was no where to be found, today I tried it again and was smart now I saved each individual video before “posting it” in the app I added no sound yet the ones I saved have sound and aren’t sped up, any way been trying to upload it as public for ever and it hasn’t. Also other options weren’t available like music. Um oh before I finished the video kept asking me to add more things which I did even though I truly didn’t want to, all that and it won’t even post. I absolutely loveeeee Jumprope. It has simplified the process of going from platform to platform for me as a social media manager. My only concern is that for some reason the audio in the video I record within the app does not match up once I save it. So I’m left, in any tutorial videos where I speak in the video not as an audio overly, with lagging or zero audio. Help? 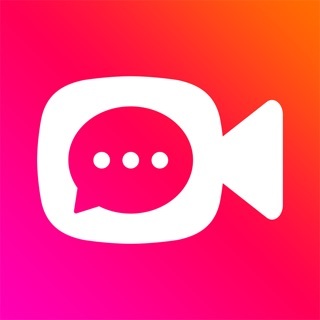 I love this app and have videos I’m ready to post.